The Student’s Union has a range of different clubs and societies to get involved with. 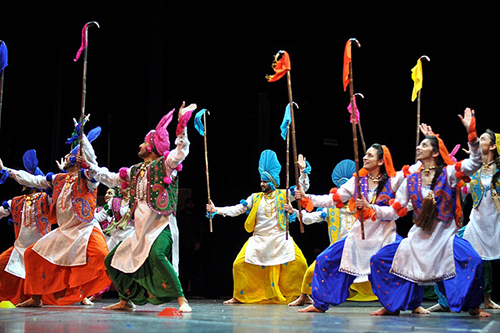 Aahuti is part of the Bhangra society. My journey with Bhangra dancing began when I first saw inter-university Bhangra competition videos online before joining university. The style was very different and completely new to me and the idea of representing my own university as part of a team really appealed to me. I had researched the various societies City had and so when I went to the Fresher’s Fair, I signed up to many of them instantly, but the Bhangra society was one which I was most keen on joining. I attended the meet and greet by myself not knowing anyone as it was at the start of term, but I that’s what meet and greets are for! The society members were all so friendly and welcoming that I ended up becoming very good friends with them. This was also where I met my friend who I lived out with in second year with. Having friends that were not on my course was also nice because you get to meet different people from across the years. Many of the friends I made were in the year above me. Being a part of a society makes the university experience even better as there is always something to look forward to weekly and you end up feeling like you’re a part of a family. The society was initially pretty small, however it has now grown to triple its size from when I first joined City. 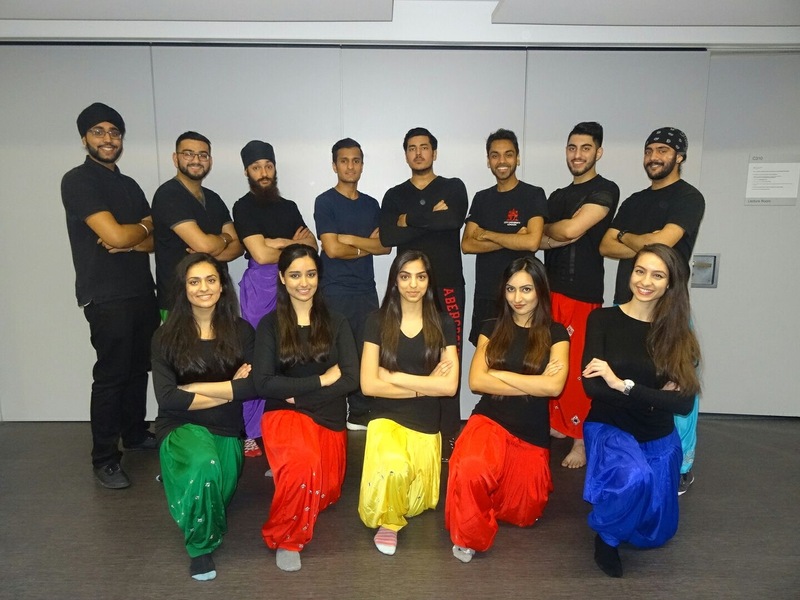 One of the best experiences that I have had is doing the inter university Capital Bhangra 2015 and 2016 competitions in which around 8 universities in the UK took part in every year. Closer to the competition our team attended the ‘mixer’ where every team met and had dinner together, and this was truly an awesome experience because you feel like you are part of a wider network. Although we all met because we were competing against each other, you see how students unite as a whole, and end up meeting so many incredible people and get to learn so much more about this extensive community in general. I have learnt a lot about time management through this experience, as we had rehearsals 5 times a week from January to March, as well as weekly rehearsals before this. Obviously I also wanted to ensure I did well in my studies at the same time, and so making sure I was able to handle both whilst keeping my commitment to the society was something I learnt. 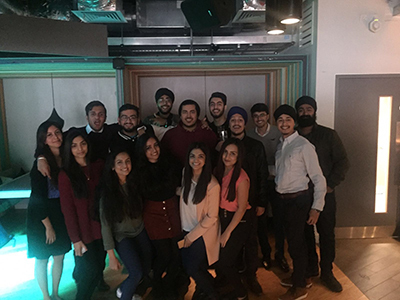 Being the Finance officer for City Bhangra society from 2015-2016, I worked alongside the President of the society and the Communications Officer. Much of it involved contacting the Student’s Union and CitySport to help us find rehearsal spaces, but also making sure we were raising awareness for the society by planning socials etc. My role in particular was to meet deadlines and make decisions, delegating the society budget both practically and cost effectively. By monitoring the financial activities and records regularly through the assessment of income and expenditures of the society and I was able to keep track of its progress. I was also a point of contact for anyone who wished to get in touch with the society, whether they were a member or non-member. And so this was also something that I dedicated my time to, along with my studies and rehearsals. In 2015 we placed 5th in the competition but through hard work we managed to achieve 2nd place in 2016! Rehearsals didn’t seem like a chore, but it was something that the team looked forward to, and placing second was such a great reward for all the time and effort we had committed to putting City’s name on the map! This is something I definitely will never forget and I hope you take the chance to join any society and get to experience this at university!